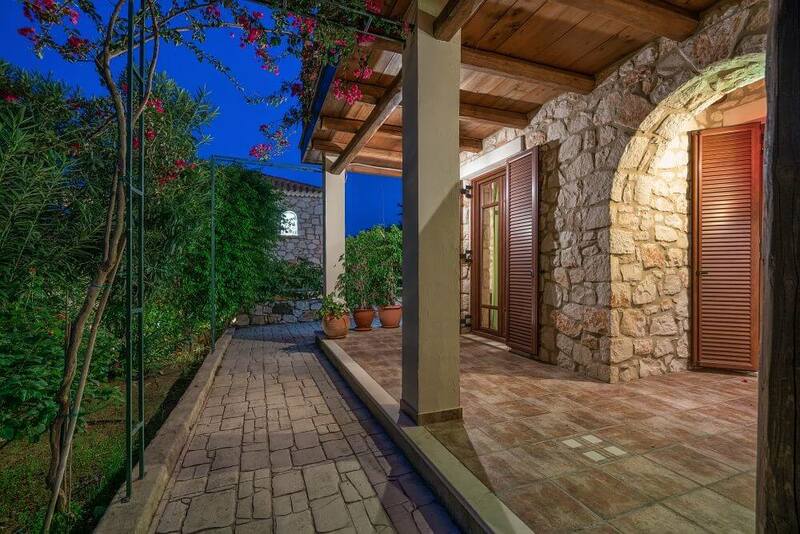 Myrties Stone House is located in Vassilikos which is on the south coast of Zakynthos and provides the chance to enjoy the beautiful natural Greek landscape and a slower pace of life. 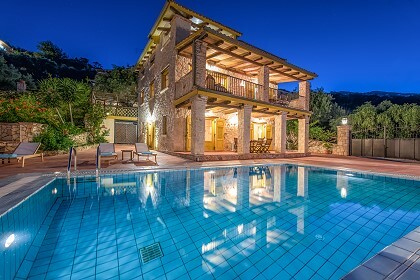 Myrties Stone House offers relaxing holidays in attractive landscaped gardens with an amazing backdrop of the pretty pine clad mountains and panoramic views over the Ionian Sea. 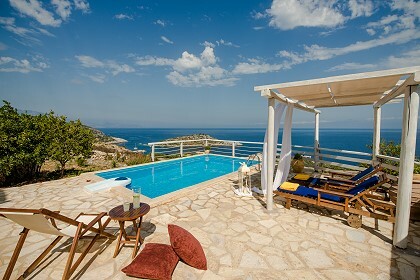 An ideal place for private, scenic, holidays where guests can relax with their families or friends. Myrties stone farmhouse was originally built in 1911 and has now been fully restored. 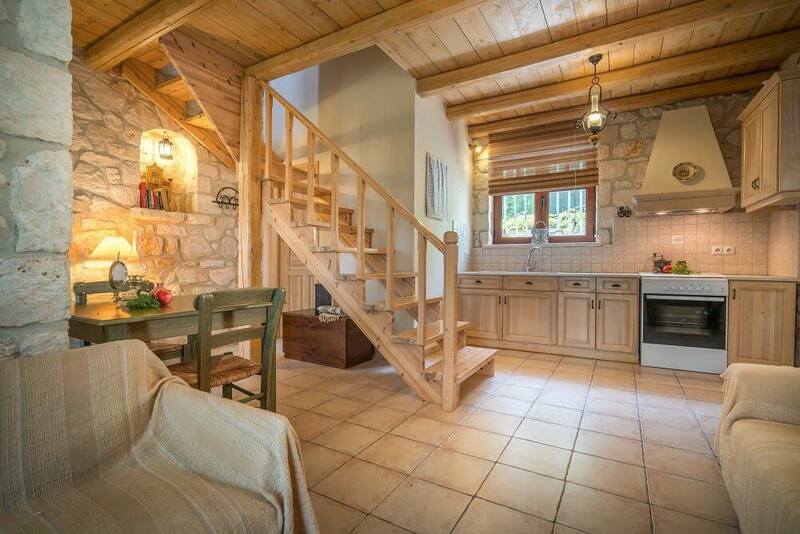 It consists of five studios suitable for 2-3 people and a 2 bedroom apartment. The studios have been constructed in such a way so it can be possible for them to be rented as two apartments suitable for four persons and one apartment suitable for three persons. All studios/apartments consist of bedrooms with either double or single beds, fully equipped kitchenette with fridge, toaster, kettle, cooking facilities and all utensils; bathroom with shower; air-conditioning, television, hairdryer, iron and private veranda. In 2008, 2 stone 2-floor buildings, with traditional architecture, were added to the farm. They house 4 luxurious maisonettes (65 square meters each)which can accommodate 2-5 people. The maisonettes feature a large bedroom with en suite bathroom on the upper floor and a beautiful view of the sea and surrounding nature. The ground floor includes a living room which can accommodate 2 people in a sofa bed or single beds, a spacious fully equipped kitchen and another bathroom. All apartments can accommodate an extra bed or baby cot for families with small children. 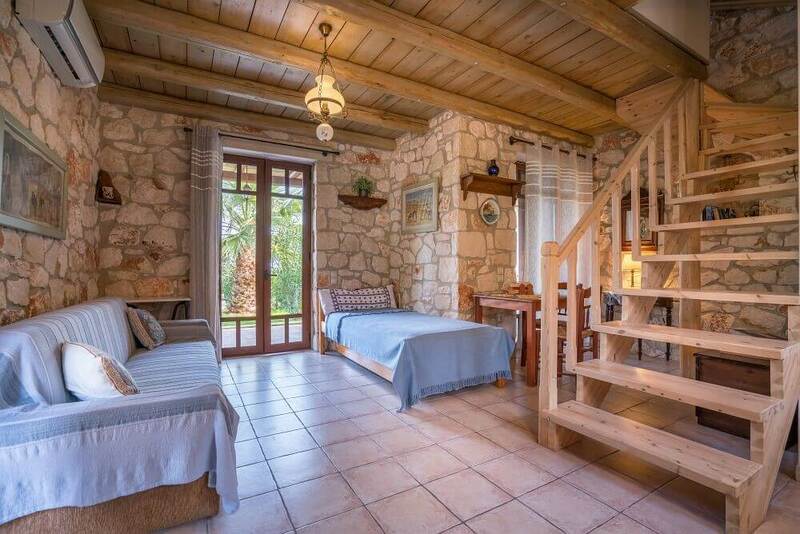 The traditional decor, the green environment, the welcoming basket of traditional and biologically cultivated product from the Logothetis Farm, all guarantee an unforgettable stay. The complex's gardens are exquisite for relaxing or if you wish you can visit the nearby beach. For those feeling energetic why not try horse riding, as the farm has its own horses, cycling, sailing and other activities. Other facilities include air-conditioning, TV, free Wi-Fi internet, private parking, children's playground and car rental arrangements. 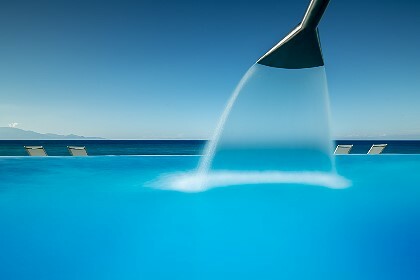 Vassilikos combines rich vegetation of dense olive groves, pine clad mountains and crystal clear sea. 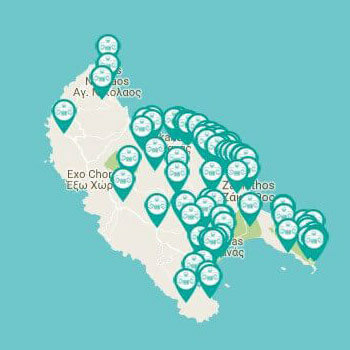 The area is still traditional and remains unspoilt by tourism, offering visitors the chance to experience the Greek way of life. The area has many gorgeous sandy beaches, deep blue sea, secluded coves along the coast and is dotted with small villages. 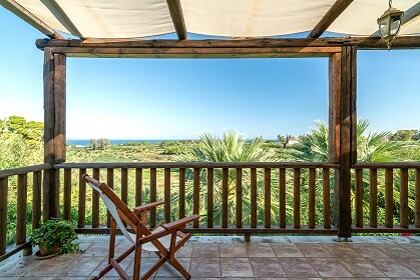 Myrties house is located in a farming area just 600m from the famous sandy beach of St Nikolas where a wide range of watersports are available.